Real men stand in your sown! 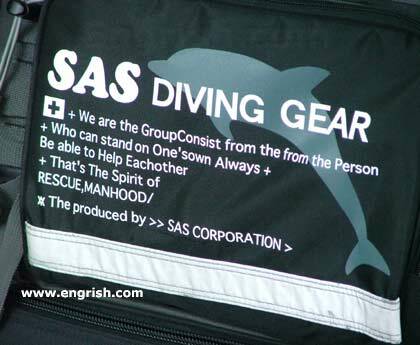 I thought the British SAS used proper English. Hmmmm… yeah, seeing dolphins always did wonders for my manhood! Most people use Viagra instead. The produced in … ?